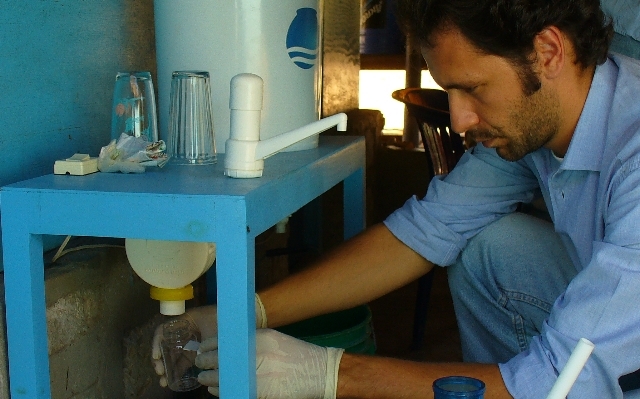 Potable water for everyone is Fermin Reygadas‘ goal, particularly in rural Mexico. This not only takes the implementation of appropriate technologies but innovations in economic modeling and the democratization of water. Fermin tackles all three as Executive Director of Cantaro Azul. Ashoka Fellows are leading social entrepreneurs who we recognize to have innovative solutions to social problems and the potential to change patterns across society. They demonstrate unrivaled commitment to bold new ideas and prove that compassion, creativity, and collaboration are tremendous forces for change. Ashoka Fellows work in over 70 countries around the globe in every area of human need. Nominees go through a long and rigorous selection process and a final executive vote. This year a total of 18 Fellows have been selected from a global competition. It is one of the most prestigious international awards that a sitting ERG graduate student has received. There has been no Ashoka Fellow among ERG graduate students in the last 25 years–the duration of this award. Fermin will give a talk at the ERG Colloquium Series on Wednesday, April 23, 2014. For more information on this event, please click here.